North Bergen High School did a two-night-only stage production of the 1979 film. 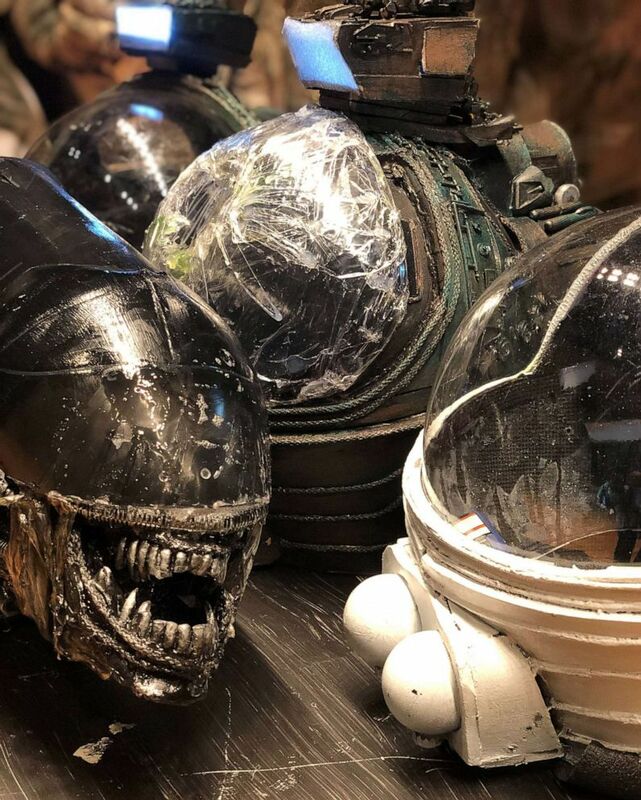 With a budget of less than $4,000 and props made from recycled materials, students at North Bergen High School’s drama club put together a two-night-only stage production of the 1979 science-fiction film "Alien." The play, which premiered earlier in March, has since gone viral, receiving praise from celebrities and even catching the attention of the movie’s director Ridley Scott and protagonist Sigourney Weaver. Scott also mentioned in the letter that Scott Free Productions, a television production company founded by him and his brother, Tony Scott, would offer some financial help to fund an encore performance of "Alien." On Thursday, Cuervo confirmed on Twitter that an encore performance was on its way. Preparation for the play started at the beginning of the school year seven months ago. Steven Defendini, the art director of “Alien: The Play,” told ABC News Friday that Cuervo had the idea of making “Alien” a play and ran it by him. “I wasn’t sure how to do it or where to even start but I knew my students and what we were capable of,” he said. (Courtesy Steven Defendini/Perfecto Cuervos) Props from the North Bergen High School production of "Alien: The Play," an adaptation of the popular 1979 science-fiction flick. According to Defendini, the most difficult part of making their own props was making the specialty costumes for the astronauts and alien. “They had to have the original iconic look but function in theatrical capacity,” he said. “Alien: The Play” had a team of 23 to 26 people that all had to work simultaneously, actors and crew alike. Weaver sent her message to the students through a video posted on “Alien’s” official Twitter page. In the video, Weaver extended her compliments and even said, “The alien looked very real” to her, warning the students to be careful opening their lockers. “You know the alien might still be around,” she said. I wasn’t sure how to do it or where to even start but I knew my students and what we were capable of. Gabriella Delacruz, the student who played Ellen Louise Ripley, had a special response for Weaver, who played the character in the original adaptation. Ripley is the protagonist of the "Alien" film series and the character earned Weaver world recognition. “From one Ripley to another, I’d like to thank you for the monumental strides you have made in bringing about a character that has meant so much to so many girls around the world, and not only girls, but has impacted Sci-Fi fans for years to come.” Delacruz said on Twitter. This year, "Alien" celebrated its 40th anniversary.